Kate Upton's monumental year continues as yet another campaign is released featuring the actress/model. Upton has thus far this year starred in a major motion picture, been named the new face of Bobbi Brown, featured on countless magazine covers and been named on just about every "hottest woman" list going in the universe today. In a nutshell, Kate Upton is on a roll and there's no stopping in sight. 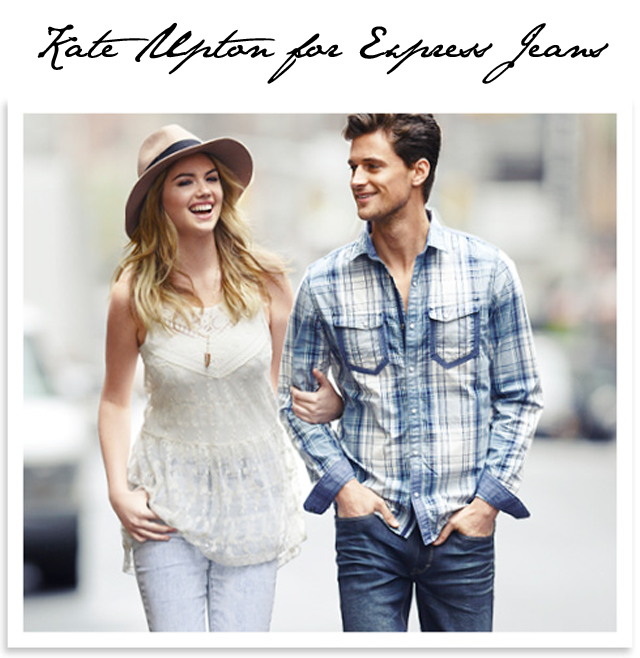 Today Kate Upton revealed her latest campaign with Express Jeans. For the all-American girl, it was truly only a matter of time before a jeans contract came her way. Yes, she will sell them by the bucket load so we're sure this was a very lucrative deal for the model and a total score for Express. Express released two images on their sight today, along with a video, and we're sure there will be many more to debut in the September issues, as is usually the case with these sort of launches. Keep an eye out. We've yet to see Kate Upton take anything less than a stellar picture, so expect good things to come.